If you don’t already know Laura Sussman-Randall, you will soon. She’s been making quite an impact on the regional art scene with her highly-detailed, beautifully executed drawings that allude to a not-so-beautiful reality, including a world of greed, power, and violence. 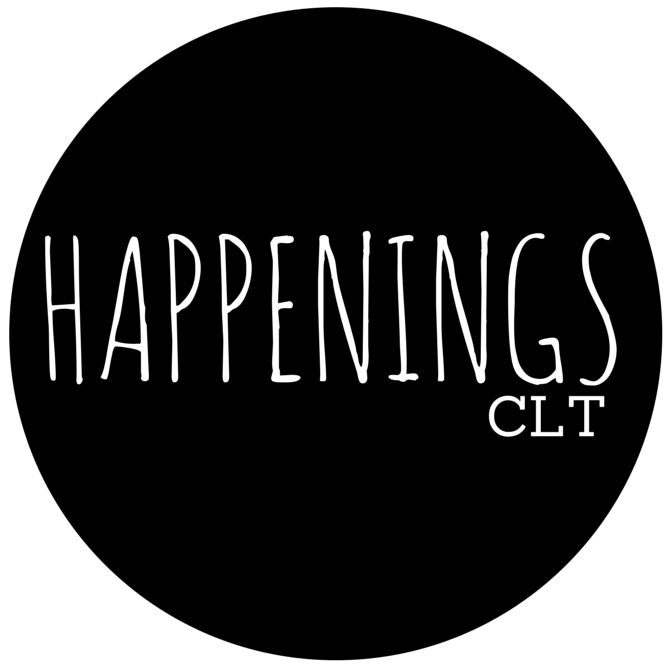 HappeningsCLT: Describe yourself in three words? LSR: I grew up around a lot of art history books (see next question) and eventually majored in history of art. There are hundreds of images and associations that pop up for me when I’m working, but some of my all time favs include Henri Rousseau, Jim Dine, Robert Longo, and believe it or not, late Medieval/early Renaissance iconographic images. The autobiographies of Judy Chicago made a big impression on me. More recently I’ve discovered James Drake and William Kentridge. I’m also influenced by books and movies I’ve seen, and unfortunately, the news. LSR: My mother, Mary Lou Sussman, is an artist so I have always been surrounded with art supplies, art history books, etc. As a kid, I spent a lot of time drawing and I loved crafty kits like needlepoint and rug-hooking. My mom worried it would be hard to make a living as an artist. She was right, but I had to do it­ – so we compromised with a dual degree in art/art history. Watching her career gave me a good realistic idea of what it looks like to be an artist – especially a female artist – in this day and age. I think I became a serious artist about 10 years ago when my son Sam started kindergarten and I had more time to work again. I realized at that point that the hours I had to dedicate to the studio were limited and I had better get disciplined. LSR: My show Dog Eat Dog is up at the Jeanne Rauch Gallery at Gaston College through October 20. I have one piece at the Cameron Art Museum in Wilmington through next July. I will be part of a group show again at Goodyear in April. Guthrie Contemporary in New Orleans. Also, my website. LSR: For the past 5-6 years, I have been working almost exclusively in charcoal, although my background is in mixed media and fiber. Most of the drawings are large – 4 x 5 ft. The immediacy of drawing paired with a larger scale have turned out to be an effective vehicle for me to express my increasing anger and concern regarding political, social, and economic conditions in our country. This has taken the form of two related bodies of work; Dog Eat Dog, and American Dream. The Dogs and many of my other drawings are really all subcategories of American Dream. Using symbolic but familiar objects, they address the current social and political climate, particularly the issues of power, greed, and injustice. The Dogs in particular act out scenes of aggression, victimization, and other forms of social violence. I choose imagery that is not overtly political on its own as a vehicle but use the title as an invitation to the viewer to consider the message without shutting down. I think the use of realism also invites people to get close to the work. I deliberately omit any likenesses of specific or identifiable people or places in order to remove any associations or prejudices that may push the viewer in a too-specific direction or push them away. In doing this I hope to allow the viewer to approach the work and consider it on their own terms, which they do! LSR: For me what has been the most valuable has been getting out to a variety of events and meeting other artists. The recent opening at McColl Center was great. I think Goodyear Arts offers a really supportive and dynamic experience for artists. A lot of fruitful connections came out of the Chaos, Confusion, and Community show that I participated in last April. LSR: I always have a pile, but right now I am reading The Windup Bird Chronicle by Haruki Murakami, to be followed by Nutshell (Ian McEwan). Nutshell is based on Hamlet so I have started re-reading that, along with assorted political analyses and a pile of NYT crosswords. LSR: We have been kind of loving Halcyon this year. Stellar cheeseboard, and I love the kale and farro salad. Top it off with a single chocolate truffle and some good wine – that’s all my food groups. Eating outside in nice weather is one of my favorite things and the view from the patio is great. LSR: I will be continuing with the American Dream series in its various iterations. I really enjoyed working on the video for my show at Rauch gallery and would like to do some more of that kind of work, maybe branching into some animation. Another perpetual question for me is how I might be able to combine the realism of my current drawings with some of mixed media/fiber techniques that I also really love, so I’ve been experimenting with that. I’m looking forward to seeing where it leads.